Which possible NFL draft prospect can Michigan football least afford to lose? ANN ARBOR, Mich. - Since Jim Harbaugh took over as Michigan's head coach, he's sent dozens of players to the NFL. This year, at least three more will follow, with several others still facing tough decisions. 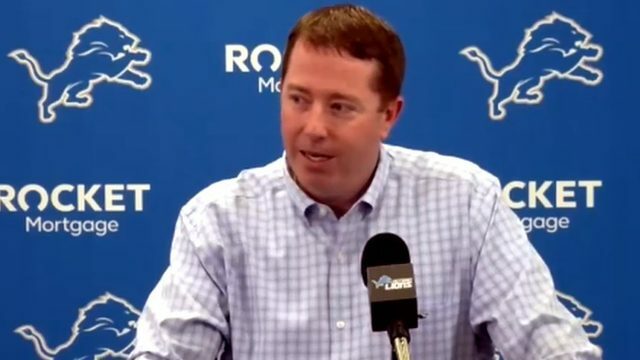 Chase Winovich, Karan Higdon and Rashan Gary are already in the draft pool, while Devin Bush, David Long, Lavert Hill, Josh Metellus, Khaleke Hudson, Zach Gentry and Shea Patterson have not announced decisions. 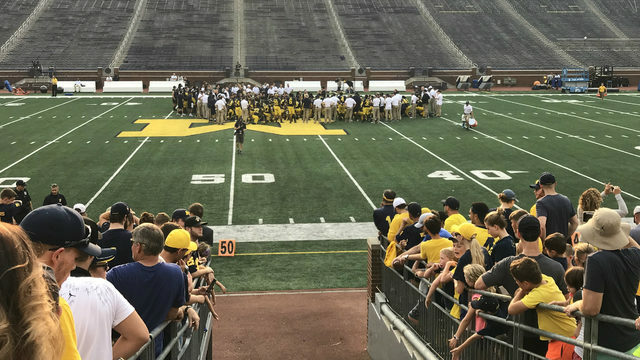 Some of those players will forego their senior season and some will likely opt to return for one more year in the Maize and Blue. They're all integral pieces of Michigan's 10-win season and would be starters again next season. Harbaugh would like to have them all back, but which player would be the most painful to lose? 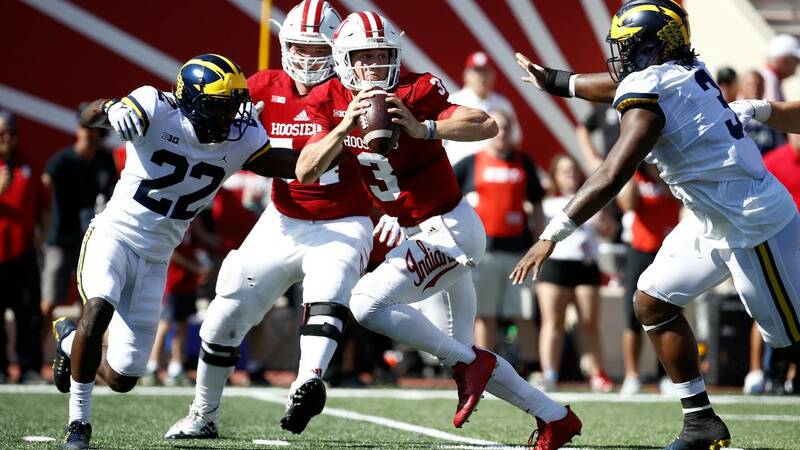 Michigan is loaded in the quarterback room, but it would still be a huge lift for the offense to have someone under center for two full years. Harbaugh hasn't had a true starting quarterback stay for two years. Jake Rudock started in 2015, Wilton Speight started in 2016 and the trio of Speight, John O'Korn and Brandon Peters took snaps in 2017. 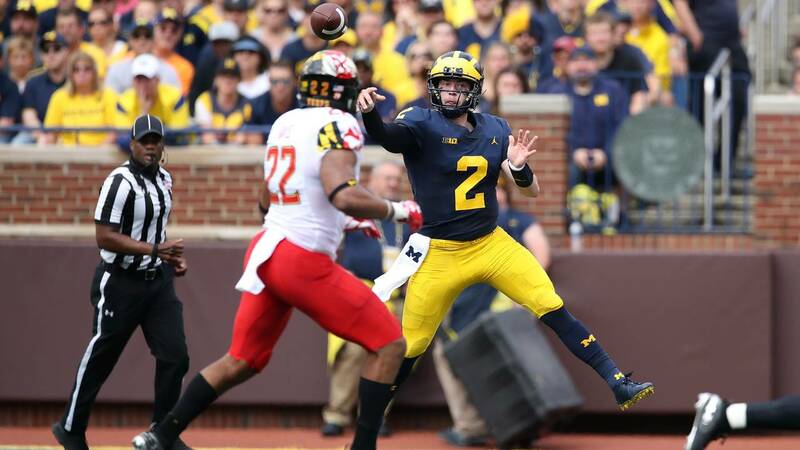 Patterson had a strong first season in Harbaugh's system, completing 65.1 percent of his passes for 2,364 yards, 21 touchdowns and five interceptions. 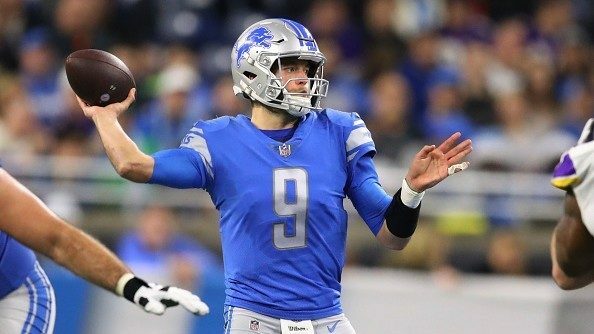 He averaged 8.18 yards per pass attempt. He was also a major rushing threat, finishing with 268 yards and two touchdowns. Some of the biggest plays of the season were Patterson runs because he picked his spots carefully. As the former No. 1 overall quarterback recruit in 2016, Patterson has as much raw ability as anybody, but his NFL draft status is unclear. Michigan wouldn't be in deep trouble if he leaves, but it would love to have him back for continuity. 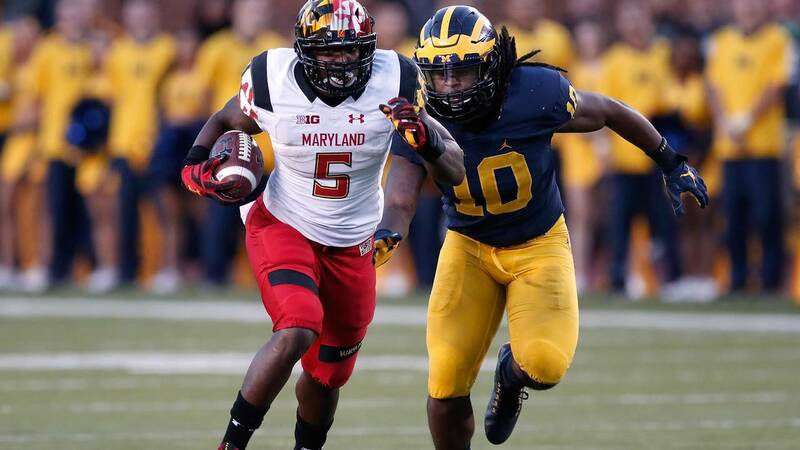 Linebacker Devin Bush runs down a Maryland ball carrier (Gregory Shamus/Getty Images). Michigan hasn't recruited many inside linebackers under Harbaugh, and they certainly don't have anyone else like Bush. As the centerpiece of the No. 1 defense in the country, Bush is the versatile player who allowed Don Brown to be so consistently aggressive. Bush can rush the passer, drop into coverage and beat a ball carrier to the edge. His combination of speed and football intelligence is difficult to find, and it was a perfect fit for Brown's middle linebacker. Bush would almost certainly be a first-round pick if he declared for the draft and would be a difficult player to replace. Josh Ross is an inside linebacker who could step into Bush's role after becoming a starter this season. Converted running back Hassan Haskins could be an off-the-radar candidate since he has the speed and athleticism to get to both sidelines. Harbaugh could also move former elite recruits Jordan Anthony or Cameron McGrone inside, since there's a greater need at the position. Harbaugh has recruited a ridiculous number of cornerbacks the last two years: Myles Sims, Gemon Green, Sammy Faustin and Vincent Gray in 2018 and Jalen Perry, DJ Turner and Mike Sainristil in 2019. All four of the 2018 cornerbacks are at least 6-foot-2, while the 2019 commits are more traditional cornerbacks. It's clear Harbaugh was preparing for the possibility that he loses Long, Hill and Brandon Watson all at the same time. Watson is a fifth-year senior and the other two are true juniors who could declare for the draft. Long was arguably the best cornerback in the country this season, posting the lowest opponent quarterback rating when targeted and fewest yards per play when targeted, according to Pro Football Focus. He was the No. 1 cornerback for a defensive coordinator who demands one-on-one coverage from his secondary. Hill shouldn't be overlooked, either. He was one of the 10 best cornerbacks in the country, according to PFF. Michigan has Ambry Thomas ready to step into a bigger role, but beyond that, the position is deep with unproven youngsters. There's plenty of talent in the room, but Michigan would see a significant dro-off without Long and Hill. Gentry had a breakout year for Michigan's offense, becoming Patterson's favorite target and finishing third on the team with 30 catches and 475 receiving yards. At 6-foot-8, Gentry wasn't much of a red zone threat, scoring just two touchdowns on the season. He was a dangerous downfield threat, though, and made some big catches in important situations. Nick Eubanks has played the Gentry role in a lesser capacity, making eight catches for 157 receiving yards and a touchdown. He leads the team with 19.6 yards per catch. Mustapha Muhammad was one of the highest ranked recruits in the 2018 class: a four-star and the No. 6 tight end in the country. 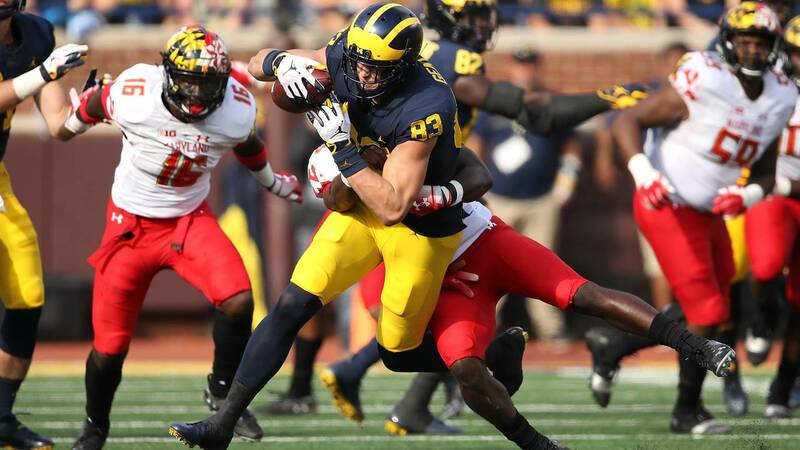 Harbaugh would love to have all of his receiving weapons back for another year, but if another tight end has to join Donovan Peoples-Jones, Nico Collins and Tarik Black, it wouldn't be a crushing blow. Who would be the biggest loss? 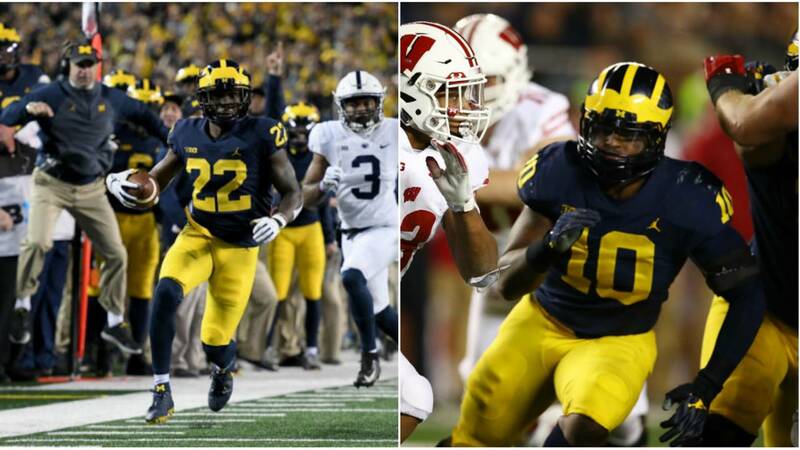 Michigan would miss all four of these players, but the most difficult to replace is Long. Cornerback is one of the toughest positions for young players, especially in Brown's defense. During an offseason in which Michigan could possibly lose each of its top three cornerbacks, Long would be greatly missed. Patterson and Gentry are two of Michigan's brightest offensive stars, but Harbaugh has recruited a ton of depth at quarterback and tight end. 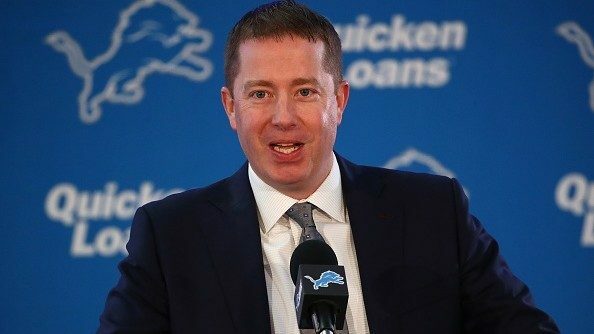 Bush might be just as difficult to replace as Long, but since he would likely be the only linebacker leaving, there would at least be others with experience to help pick up the slack. Hudson, Ross and Devin Gil have all played significant snaps this season, while the backup cornerbacks have seen much less playing time. Great cornerbacks don't always get recognized, but it was obvious how valuable Long is to the defense. Harbaugh would love to have him back as Michigan transitions to a new crop of defensive backs.